Johno & his Saab 9-5. A job I have done a few times on the 9000's but never on the 9-5...Until now. 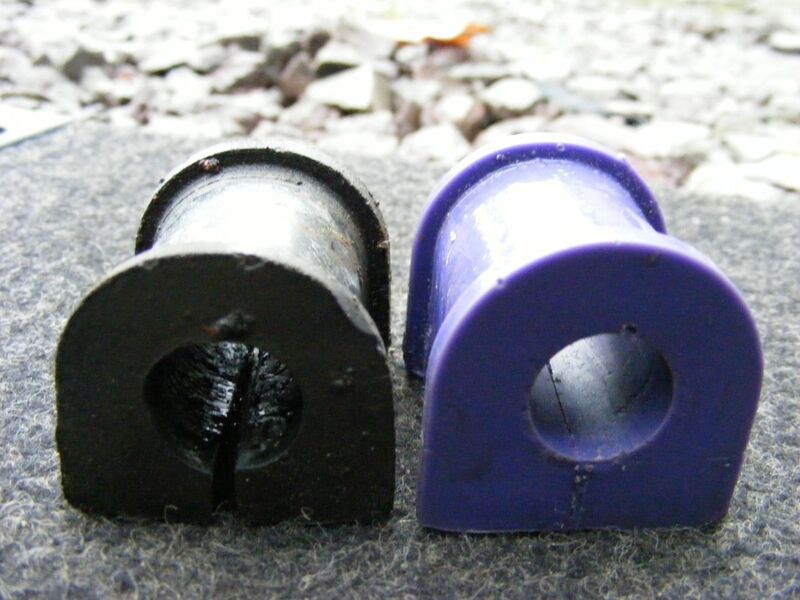 The rear end on my 9-5 had become very sloppy, so after a quick inspection I found that the original anti roll bar bushes looked a bit af a mess. 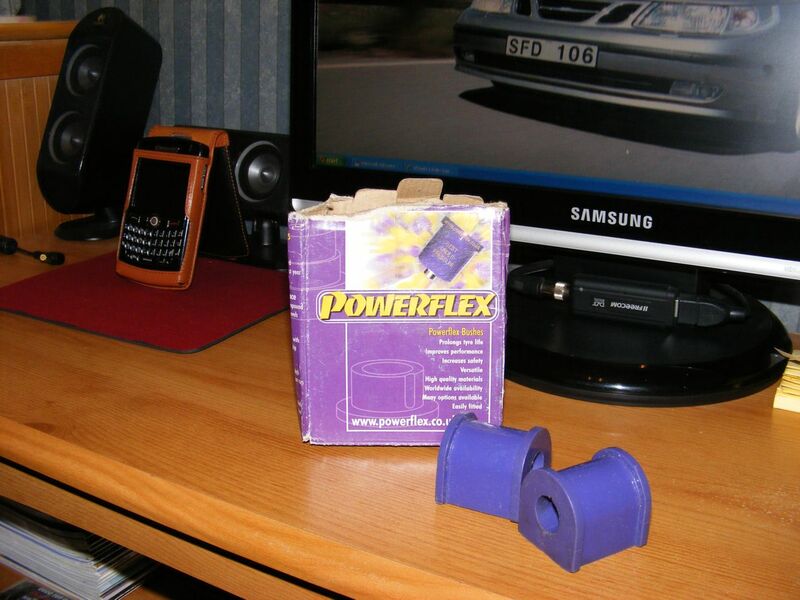 I was not sure weather to just replace them with standard Saab rubber ones of go for some silicone ones, as it happened one of the members on UKSaabs was selling a pair of Powerflex 9-5 rear ARB bushes so I bought these for £10. 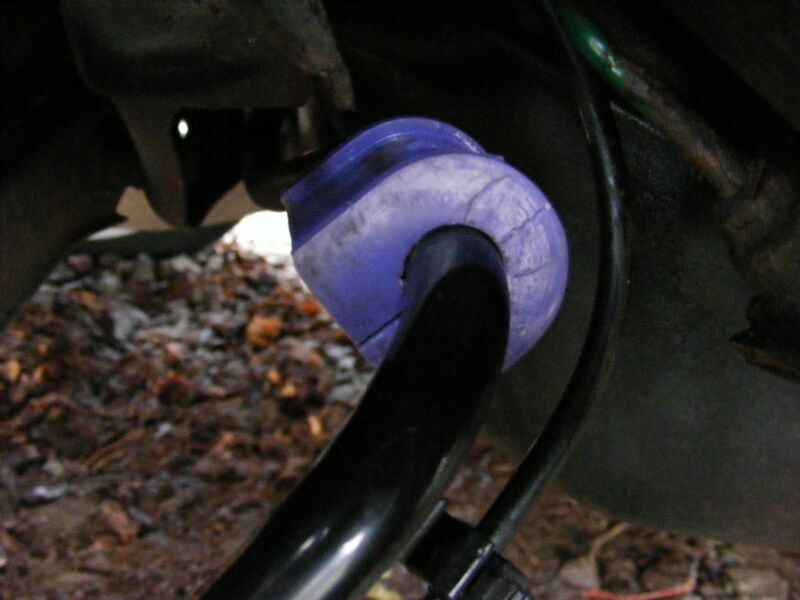 After a quick check on the Powerflex website, http://www.powerflex.co.uk/products/9-5+%281998-2002%29-728/1.html I was pleased to see they do the complete range of silicone suspension bushes for the 9-5 at very good prices so I will update this page as & when I change all my anti roll bar bushes. 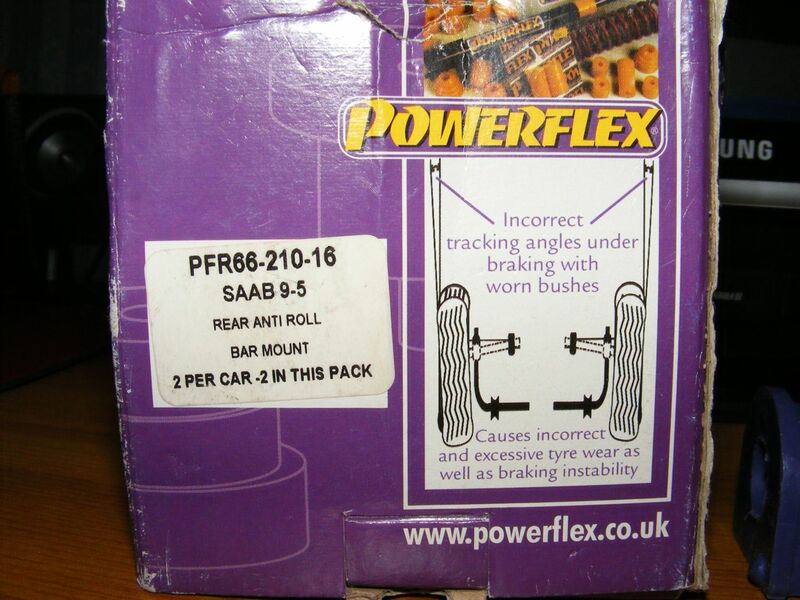 So, I shall start with the rear ARB bushes, part number PFR66-210-16. 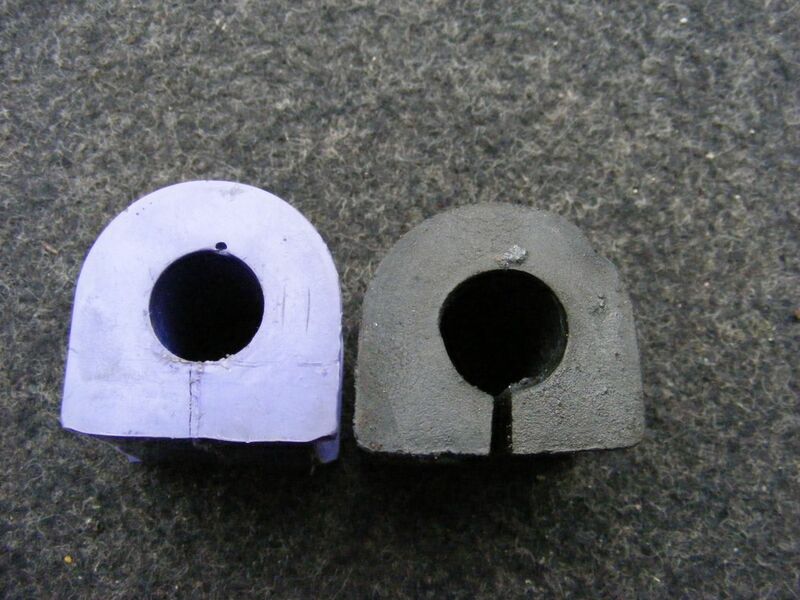 Powerflex do three different sizes, these are 16mm but they do 15mm & 17mm also, so best to check the size of your rear anti roll bar before you order any. I was very lucky, the ones I bought were a perfect fit as I had not thought to ask about size. I assumed they were all the same! & a lovley shade of blue, which is nice! 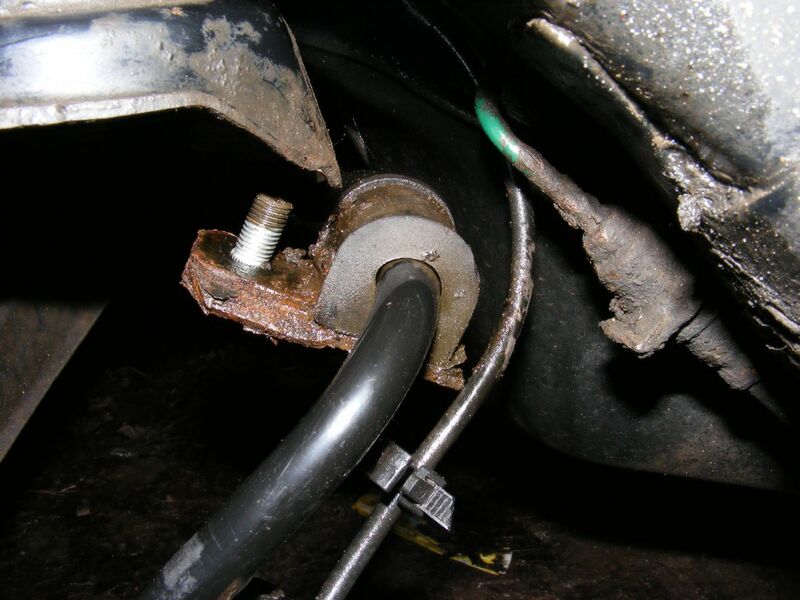 When reading various Saab workshop manuals its said the anti roll bar needs to be removed from the car to replace the ARB bushes, not so. 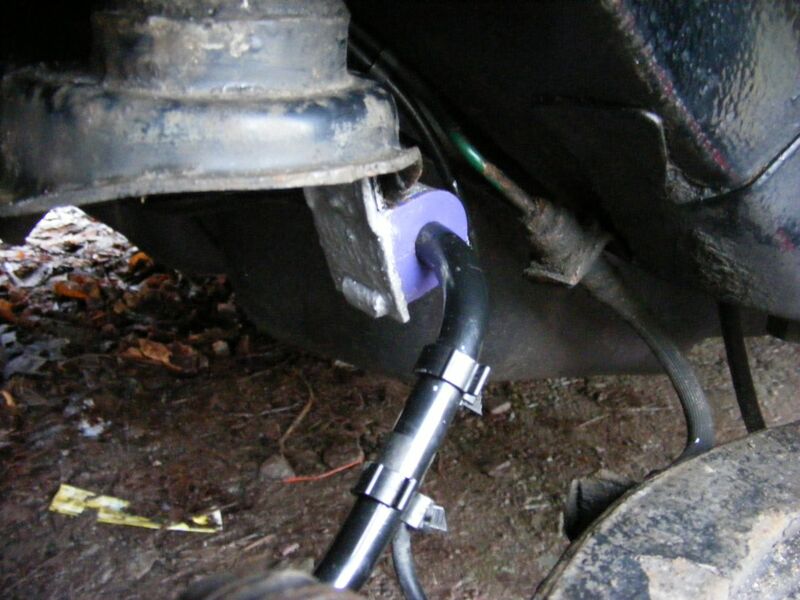 You can do this little job with the anti roll bar in situ. With the rear end of the car up on axle stands & the rear wheels removed you can see the rear ARB bushes attached to the front of the rear subframe by one 15mm nut. I uncliped the wiring for the ABS sensors that run along the anti roll bar, the clips just push off the bar. I didnt want to risk damaging the wiring whilst I was attempting to remove the bracket nut. Now there is not much room in there & I could not get a ratchet with a 15mm socket over the nut as the brake pipes & the car body are in the way. The only way is to use a 15mm ring spanner, & the longest one you can find. These nuts were stuck fast & I needed as much leverage as possible, so using two spanners, one open & one ring linked together & lots of WD40 the nuts came free. Ok, now the nut is off you can push the whole bracket away from the subframe whilst it still attached to the anti roll bar. There is not much tension on these & they come away quite eaisly. 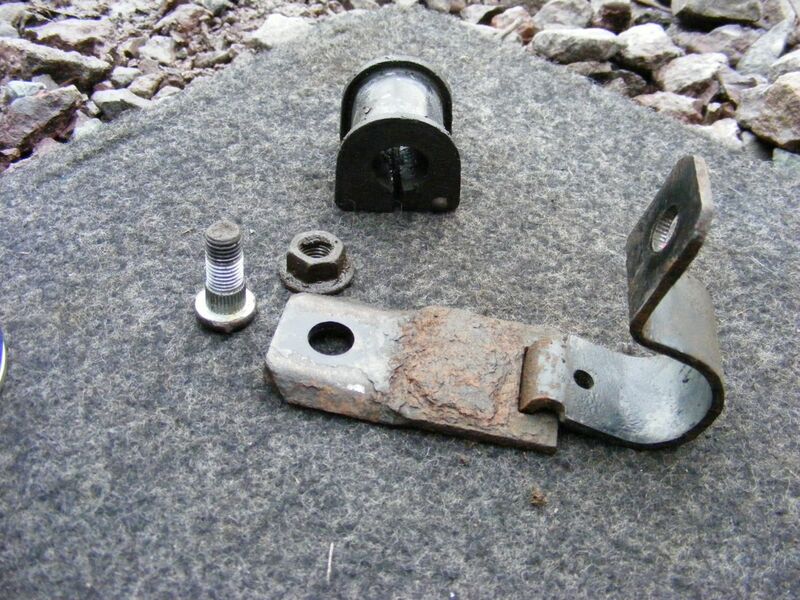 The bush bracket is really a two piece clamp, with a large screwdriver I prised the two parts away from each other near the bolt at the top & removed it away from the bush. 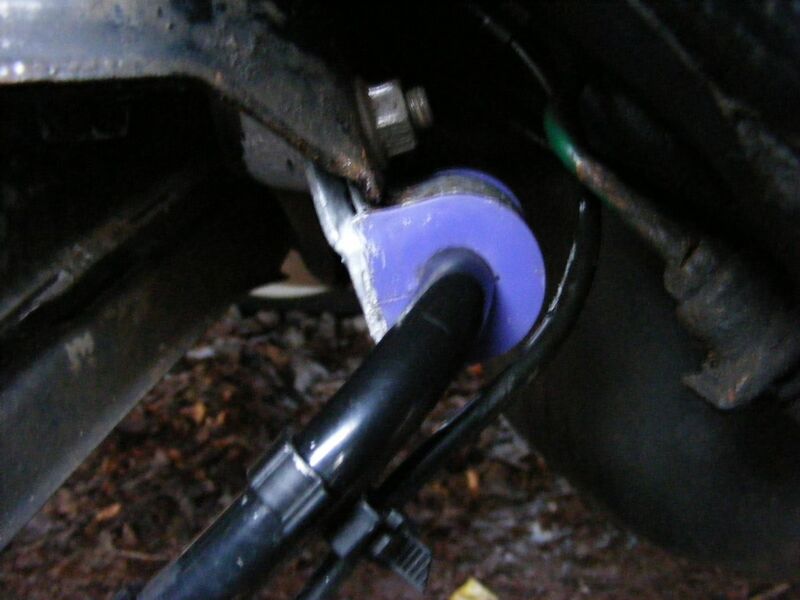 Then just pull the bush away from the anti roll bar, this method avoids removing the anti roll bar from the car. As you can see from the pics above my clamps were very rusty & needed a good clean with a wire brush & a quick coat of paint to cover the bare metal. As this is not a job you would do very often I would recomend replacing the old clamps with new ones when changing the bushes. Old against new, as you can see there is quite a lot of wear on the old bush & the center hole was quite deformed. Now its time to give the anti roll bar a good clean & apply the grease that was supplied in the box with the new bushes to the roll bar & the inner circle of the clamp. Now push the new silicone bush onto the anti roll bar, then re fit the clamp around the bush, & add the backplate & then clamp it all back together making sure the splines on the bolt go through the front piece of the clamp to hold it together & bolt it back onto the subframe. 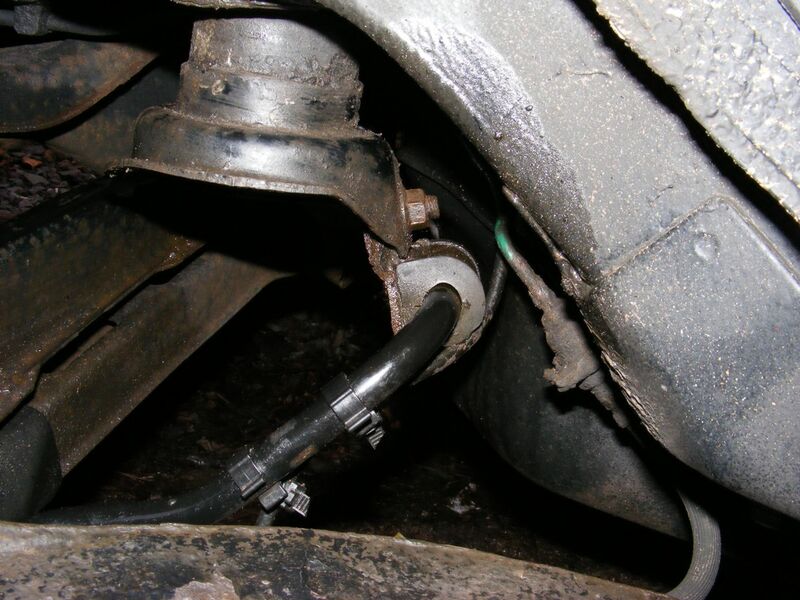 Same again on the other side & thats the rear anti roll bar bushes replaced in a couple of hours. Thats the rear end done & what a difference, I shall update this page when the front ARB bushes arrive.